The Better Left Unsaid campaign is associated with the tag line, “Share the Love”, with creative work distributed on social media. 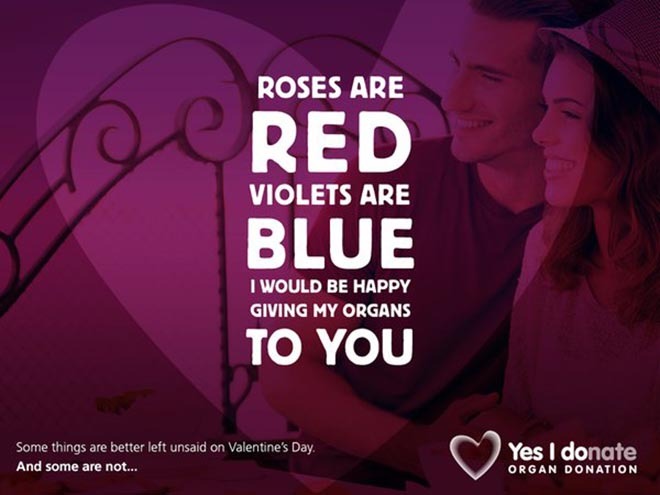 Many NHS ad campaigns have encouraged people to register as organ donors. However, if the family of a potential organ donor is not aware and in support of a loved-ones wishes, in the event of their death, the process of fulfilling their organ donation can be difficult. “It was a challenging brief. 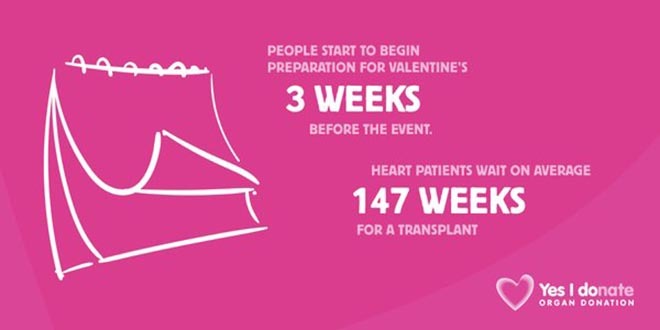 For many people raising the subject of organ donation is not an easy thing to do. So Valentine’s Day – a time spent with your loved one – is as good a time as ever!” explained Stephen Lynch, creative director, Aesop. “We chose a humorous approach to cut through and make the sharing of one’s organ donor decision feel like a simple and easy thing to do”. The NHS Better Left Unsaid campaign was developed at Aesop by creative directors Stephen Lynch and Ben Clapp. Filming was shot by director Ben Sedley via Generator Films with executive producer Laura Ruddock, producer Laura Jenkins, director of photography Oliver Schofield. Post production was by colourist James Gilmore. Editor was Julian Tranquille at Cut + Run, London.